In my personal experience, I totally agree with Singapore being #1. One of the main reason why it's so safe too is the fact that the laws there are super strict. There are no chewing gums allowed, no spitting, littering, jaywalking, etc..... and each violation comes with a hefty fine and some where you get caned. For some crimes, some penalties are mandatory such as caning for vandalism (graffiti). Drug traffickers are also executed for their crimes. 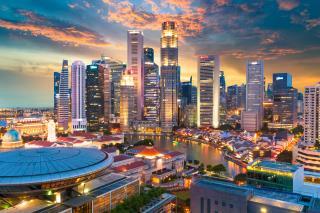 Singapore has one of the highest execution rates in the world. Basically they set harsh punishment for crimes so it deter people from doing it. I wonder where the USA and other Western countries would place if they included legal extortion from "insurance" companies and telecommunications?